The traditional Grand Tourer has long been associated with elegance, pace, and beauty. 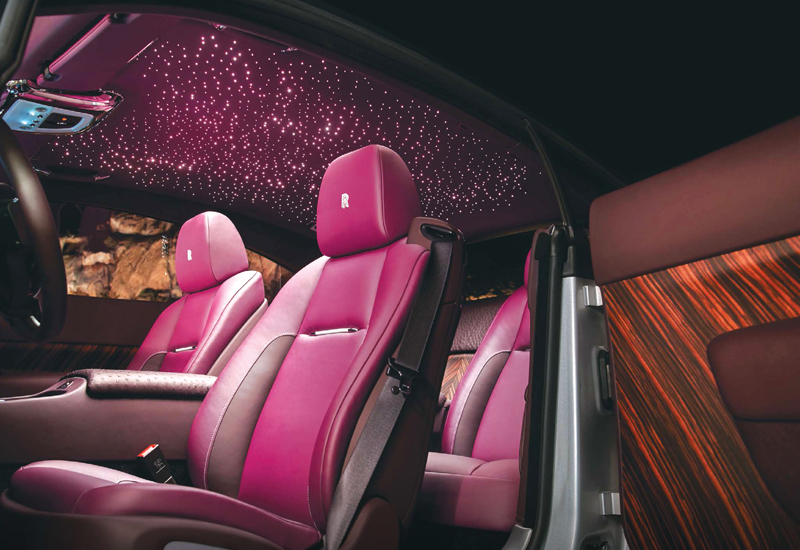 Now, with this new incarnation of Wraith, Rolls-Royce redefines the genre. Quite simply the most powerful Rolls-Royce ever created, this enigmatic motor car sets the benchmark as the ultimate luxury GT. It is a seamless marriage of performance, control and style. A motor car that will transport you, physically and emotionally, to the most exhilarating places. As in every Rolls-Royce, a calm sophistication is a part of Wraith’s DNA. However, this unruffled exterior conceals a heart that beats pure power. The potent 6.6 litres, the turbo-charged V12 engine can launch you from 0-60 mph in 4.4 seconds, and just as swiftly on the journey of a lifetime. It delivers 624 bhp in a seamless surge of energy, effortlessly delivered through the eight-speed satellite aided automatic transmission. Clever technology also ensures Wraith maintains its composure over virtually any surface, with a state-of-the-art air suspension system compensating for the tiniest of lateral movements. While Wraith is daring and unique, the principal design signatures that set every Rolls-Royce apart are still very much in evidence; the classic 2:1 proportions of the wheel to roof height, the long overhang beyond the back wheels, and the signature rear-hinged coach doors. 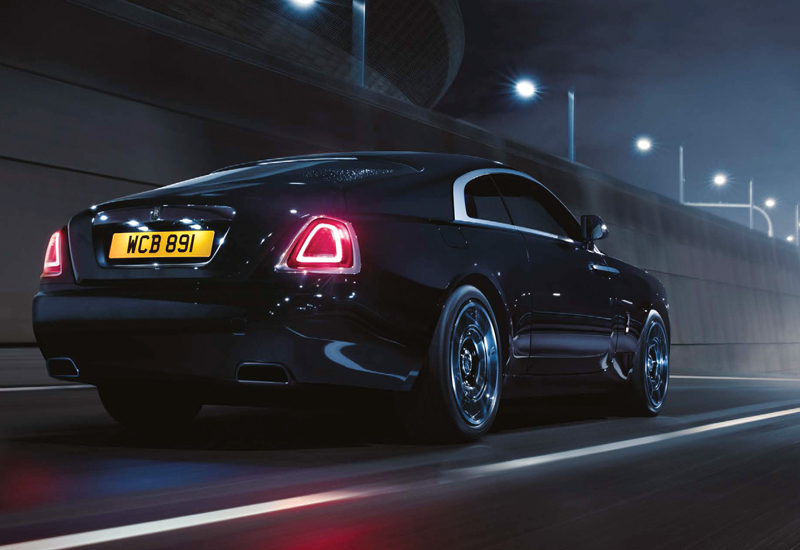 Underpinned by these pedigree features, Wraith challenges the Rolls-Royce aesthetic boundaries in other areas. Its elegant fastback lines promise seamless performance and an adventurous spirit, while twin exhausts add a hint of controlled aggression to its powerful, striking silhouette. The combined effect is a motor car that draws covetous glances wherever it travels, finding beauty in the drama of every drive.